Conclude the Casco insurance policy of AMS Insurance today! 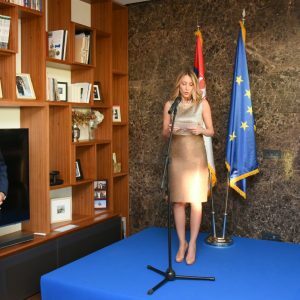 Share This: The European Investment Bank (EIB) in the last 15 years in Serbia invested 4,5 billion euros, said the head of the office for the Western Balkans in the EIB Dubravka Negre. Share This: At the residence of the French Embassy Ceremony of granting the Order of Academic Palm was held. 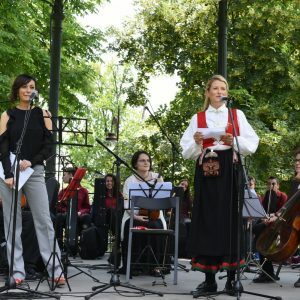 Share This: The Constitution Day of Kingdom of Norway was celebrated by the Embassy of Kingdom of Norway and the Norwegian Society in Serbia. 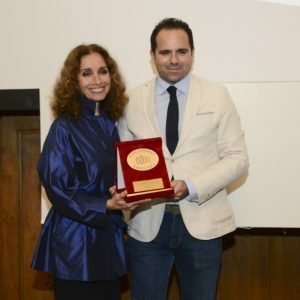 Share This: Instituto Cervantes and Yugoslav Film Archive delivered the Golden Seal of the Yugoslav Film Archive to Spanish actress, singer and director Ana Belén. 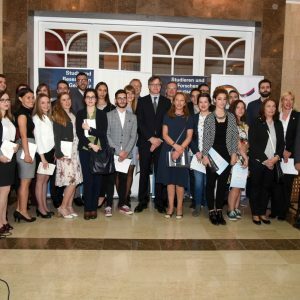 Share This: The 14th generation of the Zoran Đinđić Foundation got their scholarships, in cooperation wthe the German students exchange organisation DAAD. 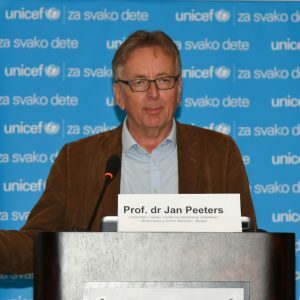 Share This: In Hotel Hyatt in Belgrade, UNICEF, in cooperation with Swiss Agency for Development and Serbian Ministry of Education, organised a conference on child education. 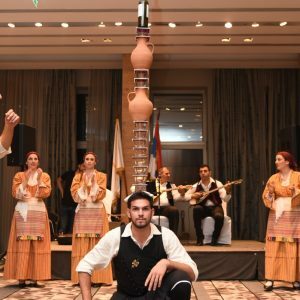 Share This: The Cypriot Embassy organised in Hotel Metropol in Belgrade a gala evening dedicated to the expansion of tourist cooperation between the two countries. 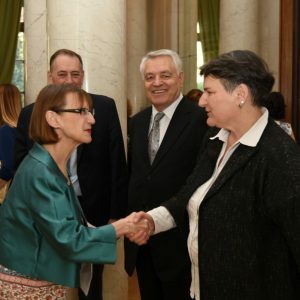 Share This: The Ambassador of Belarus, H E Vladimir Chushev organised a farewell party cocktail in Villa Jelena in Belgrade, thus marking the end of his term. 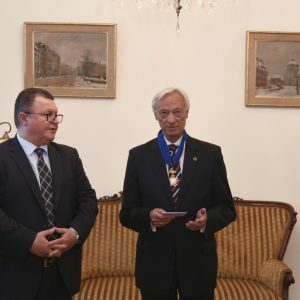 Share This: Polish Ambassador of the Republic of Serbia H E Tomasz Niegodisz awarded at the ceremony the Commander Order of Merit of the Republic of Poland to the former ambassador of the in Poland Radojko Bogojević. 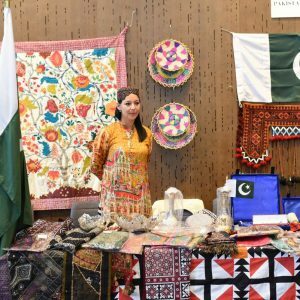 Share This: The International Women’s Club (IWC) launched its latest fund-raising activity for this year, aimed at collecting much-needed resources for Belgrade’s “Action for the Blind” Association, with the IWC Spring Festival. Share This: Bulgarian Embassy organised couple of events: in front of the monument of the two Slavic enlighteners the wraths were put together with other Slavic embassies and Ministry of Culture of Serbia. 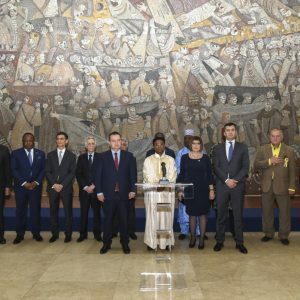 Share This: The Palace of Serbia hosted a ceremony to mark the occasion of Africa Day, which was attended by officials of the Government of Serbia and representatives of the diplomatic corps and cultural and public life.